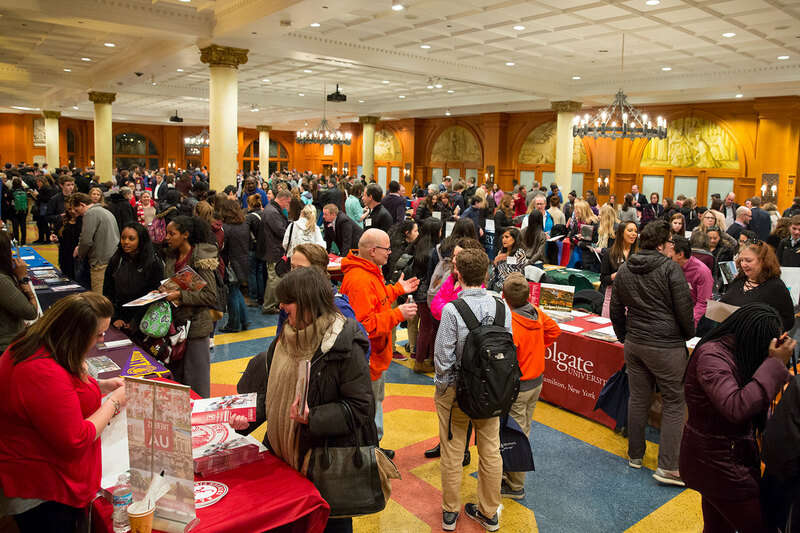 After two days of mid-March snow in Chicago canceled classes at Saint Ignatius College Prep, the community came together for the school’s college fair. Almost 70 colleges and universities scanned several hundred Saint Ignatius students. Counselors at the school made announcements and many students registered for barcodes during homeroom.